Please fill out this contact form to join our mailing list. Phone * Please provide your phone number. Instagram If you have one, please provide your Instagram link here. 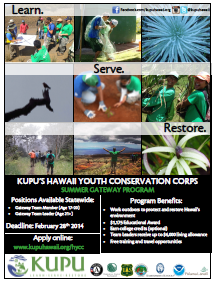 Click on the link below to learn more about the Kupu Hawaii Summer Gateway Program!